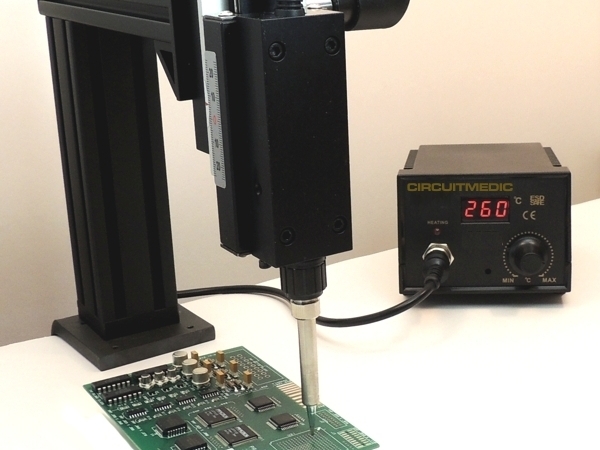 You'll appreciate the accuracy of this calibrated Bonding Sress, especially when repairing surface mount and BGA pads. The system comes with an adjustable Temperature Controller to accurately set the tip temperature. The system has a built-in calibration scale to maintain a regulated bonding force throughout the 30-second bonding cycle. 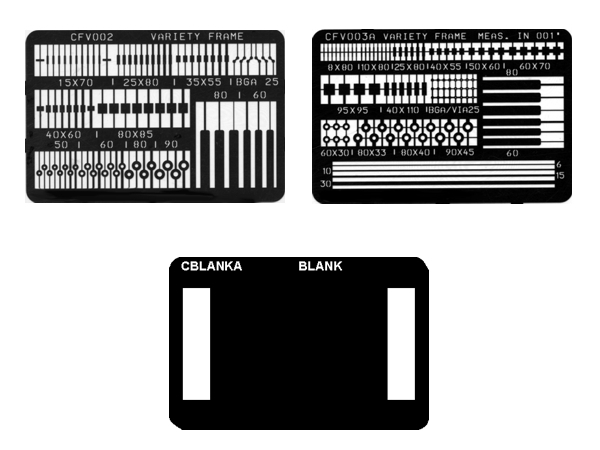 The Bonding System comes with three Circuit Frames. Circuit Frames have a dry film adhesive backing so messy liquid adhesives are not needed for bonding. 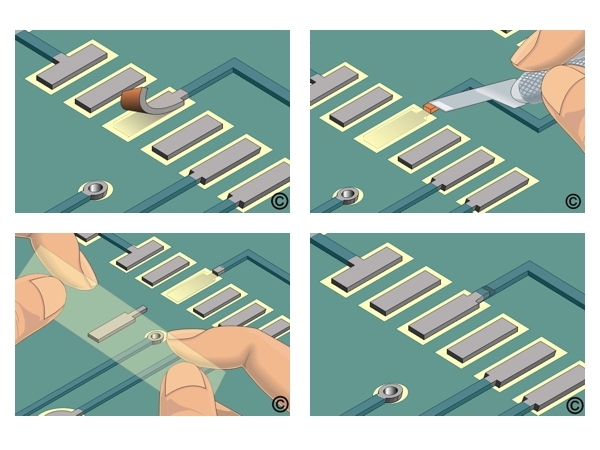 Use the Bonding System and Circuit Frames to replace lifted and damaged surface mount and BGA pads. The repaired pad will meet the highest IPC guidelines. Use the Bonding System and Circuit Frames to replace lifted and damaged lands. The repaired land will meet the highest IPC guidelines. 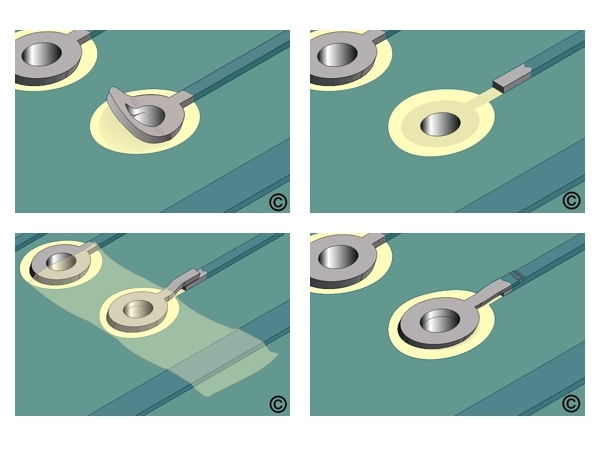 ■ Precision design for bonding of extremely small pads. ■ Heavy duty construction provides a stable platform. 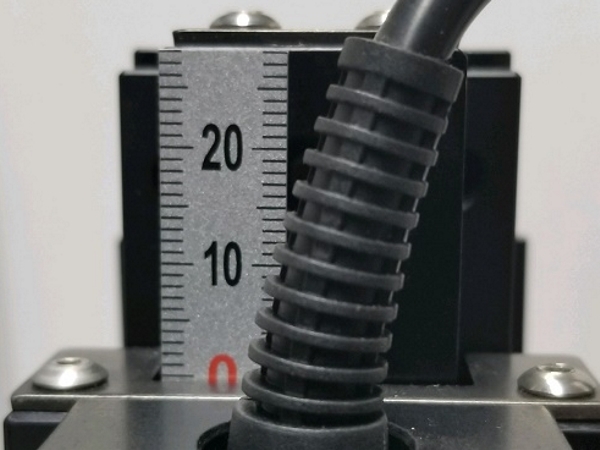 ■ Calibration gauge maintains regulated bonding force. 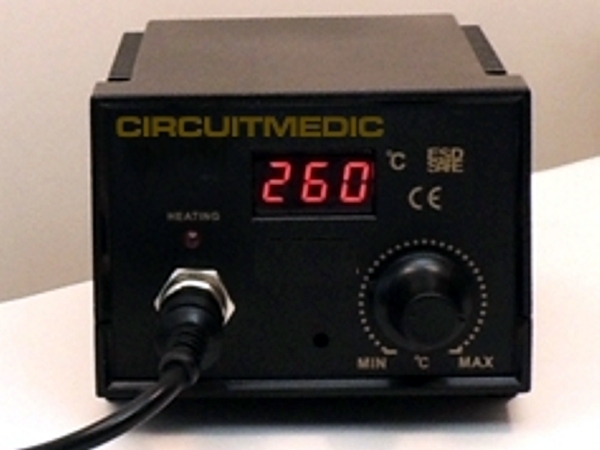 ■ Temperature controller maintains uniform temperature. ■ Includes 4 various Bonding Tips. You'll appreciate the accuracy of this calibrated Bonding Press, especially when repairing surface mount and BGA pads. The press not only gives the operator better control over the bonding process, but also ensures optimal adhesion and repeatability. 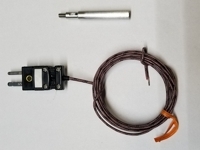 The system has a built-in calibration scale to maintain a regulated bonding force and the digital temperature controller in the power unit base maintains a uniform temperature throughout the 30-second bonding cycle. Systems include one each of the following Bonding Tips. To order click the "Order" button and follow the instructions. You may also order from distributors around the world.